At EPIC Family Chiropractic, we have one sole purpose: to help you reach your goals. Do you want to play with your children? Start exercising? Run a marathon? Find relief from debilitating pain? Boone Chiropractor Dr. Mark Torrie provides specific and science-based care. Though you might think chiropractors deal with pain, it’s not just for those who are hurting. We want to get sick people healthy and keep healthy people from getting sick. Our team is dedicated to helping you and your family live a healthier, more fulfilled life. You can think of pain as your body’s check engine light. It’s a sign that something is wrong, and we can give you the attention you need. Our second location in West Jefferson will be open to serve you soon. Keep an eye on our website and Facebook for more information. Your body is self-healing and self-regulating. It has everything it needs to function and be healthy. Through years of stress, trauma, and repetitive use, the body's ability to adapt can become limited and impaired. At our office, our first job is to identify exactly where and how many misalignments you may have. Then determine what nerves are being damaged as well as what organs of the body may be developing sickness, disease, or illness from a poor nerve supply. Chiropractic adjustments are designed to clear that interference so your body can get back to doing what it does best: healing and adapting! Dr. Mark is passionate about you not only feeling amazing, but also functioning optimally so you can be the best version of yourself. He uses chiropractic care and state of the art technology to get to the root cause that is limiting your potential. 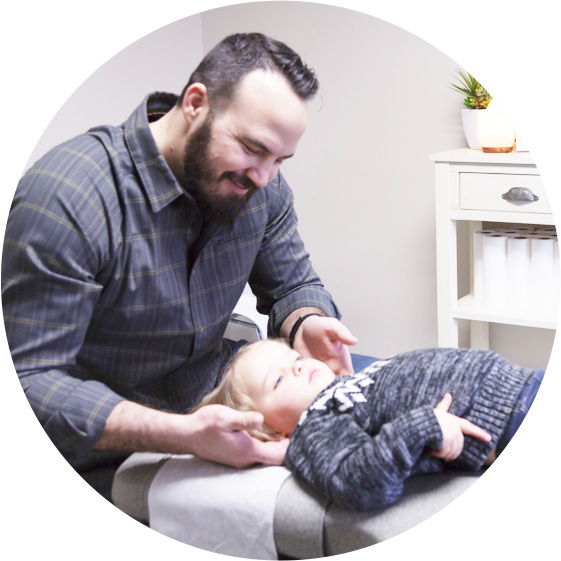 Dr. Mark loves caring for families, and has studied pediatric and prenatal care extensively, with an emphasis on treating moms-to-be and their families. He is certified in the Webster Technique, which can help to create an optimal environment for proper positioning during pregnancy. When you function at 100%, you can notice improvements in the way you sleep, digest, move and more. You might be able to reduce your medications or see your children are focusing better than ever. Find out what we can do for your family. Dr. Mark Torrie is always nice and professional, and appears to genuinely care about my comfort. I am always impressed and I highly recommend! I always have top-notch care at Epic Family Chiropractic. They listen to any concerns I have and I always feel amazing when I leave. Thank you!